Generally, described as the “smooth white aster,” these plants are for the most part glabrous. However, the leaves of new shoots near the base of the plant clearly have cilia. 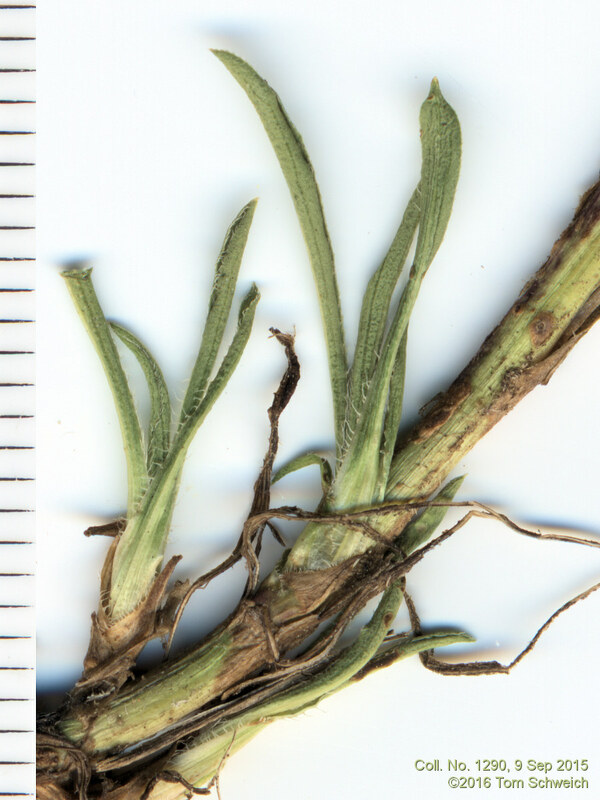 Margins of distal leaves are glabrous. Field Notes: Coll. No. 1290, 9 Sep 2015. Other photos about Species - Asteraceae or Symphyotrichum porteri.